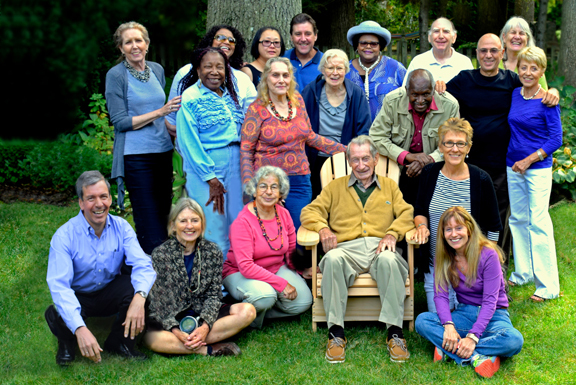 George, seated in the chair given to him by the Garden Club of Teaneck. 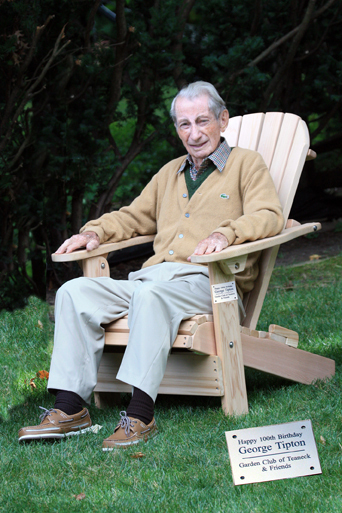 Custom-made for him in Canada of cedar, it is lightweight and folds so that he can keep it to rest in while gardening. The inset at bottom right, shows (enlarged) the plaque that will be mounted on his chair.